Premiership clubs can expect to glean a cash windfall of £140 million when the league’s broadcasting rights come up for grabs in 2021. 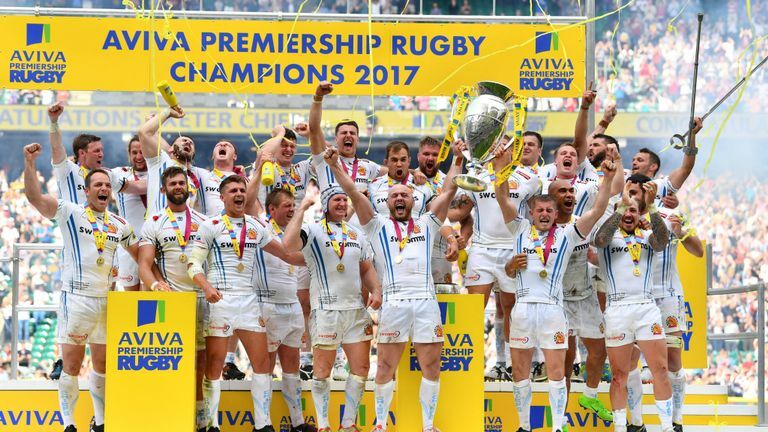 Premiership Rugby’s current six-year deal with BT Sport is worth around £200m but Saracens chief executive Mitesh Velani believes that sum will pale by comparison to the next deal, with internet giants such as Amazon, Google and Facebook set to heavily influence how rugby is viewed. Online retail giants Amazon recently acquired Premier League football rights, paying £200m for a package of 20 live games. Rugby will not command anywhere near £10m per game, but financial expert Velani expects there to be a significant uplift. He told The Rugby Paper: “I think rugby is at a point of inflection at the moment where all the right noises are being made, and if you look at the six-year TV deal, which is a £200m deal with BT Sport, that was a 70 per cent increase on the previous one. “We’re now at a stage where Premiership Rugby – and Saracens are one of 12 stakeholders in that – want to take the deal to the next level, where it increases significantly again and reaches the point where rugby becomes a real commercial frontrunner. “Thoughts are turning to 2021, the last year of our current deal, so where can it get to? It’s difficult to say but I think it can go another 70 per cent (£140m).